Between Laer and Holthausen, a citizens' cycle path is to be built along the country road. The municipality of Laer consists of the two districts of Laer and Holthausen, which are connected by a country road. Unfortunately, there is no cycle path along the aforementioned road. 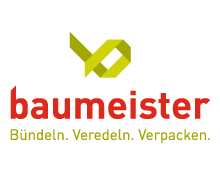 Pallet spaces to rent from March 2019 in our warehouse in Laer (Germany)! Uncomplicated, good and cheap. The group of children and young adults with and without handicaps meets every Wednesday in the Laer sports hall. Two instructors are available to address the strengths and weaknesses of the participants and try to bring a little variety into the everyday life of their protégés. wax seals - small stickers with a big impact. Using our Self-adhesive Seals, you can create visual messages wherever you like and wherever they will generate additional attention. Possible uses range from paper bags, price tags, labels and packaging to bottles, glasses and documents – and beyond. ElastiLoop ™ - Rubber Elastomer Rings. Their coloring is harmless and visually a highlight. Asparagus loops / kitchen loops. Safe, fast and cooked. Rubberbands with 80% rubber content. Ideal for bundling 500g bleach and green asparagus. The article complies with the applicable provisions of Regulation (EC) 1935/2004. Elastic string for tying machines. Various qualities for all commercially available knotting / binding machines. ADT-Tying Machines. Tie tightly and knot securely with our knotting machines. ADT 160-250. Binding string is an important part of flower processing lines. interpack is the essential event for the food, beverage, confectionery, bakery, pharmaceuticals, cosmetics, non-food and industrial goods sectors. No other trade fair in the world presents the entire supply chain. At no other trade fair does the packaging industry provide all sectors with tailored solutions and innovative designs based on such a variety of materials, and it is, of course, THE event for the packaging industry. Visit us in Hall 12 at stand B08-16 from our partner Bedford Industries, Inc.Worthington (MN), USA and find out more about the Northfield ElastiTag® dispenser.